Well, that escalated quickly. A week ago, the Windsor Spitfires were preparing for the 2019 OHL Draft, dealing with a promising future. Now, there’s uproar and confusion around the junior hockey circles with speculation around a possible ownership change. 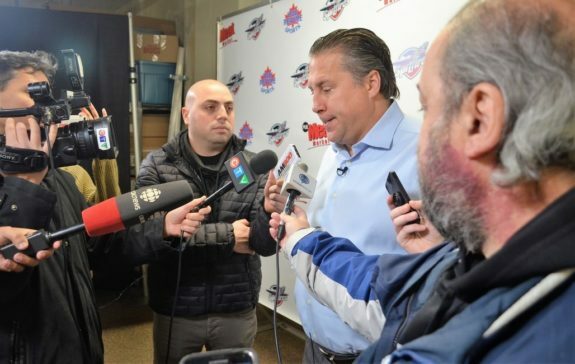 Spitfires’ general manager Warren Rychel and his staff were ready for the draft on Saturday. They had the sixth-overall pick and all was looking good. That player would come in and complement a young core that looks very promising. A small rumour before the draft snowballed, though, and, combined with a few moves, has turned the entire situation upside down. It’s a situation that’s gone viral for all the wrong reasons. Will the Spitfires’ ownership sell the team and to whom? 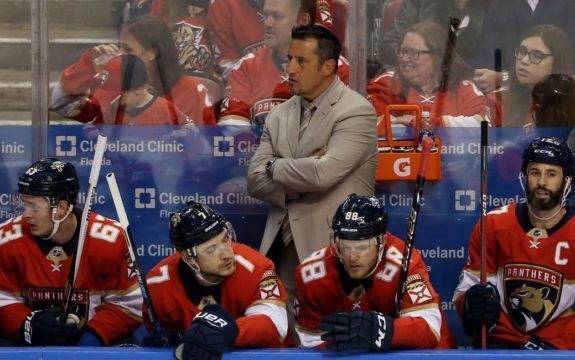 The current group includes Rychel, Bob Boughner and brothers John, Stephen and Brian Schwab of Cypher Systems Group. John also owns the LaSalle Vipers Jr. B club, the Spitfires’ affiliates. Rychel and Boughner are original owners since 2006, while the Savages bought out Pete Dobrich in 2013. After much speculation, the Spitfires’ brass were asked about it on Friday but were silent. That’s reasonable given the magnitude of the draft on Saturday morning. Rychel has created an exciting young core. This season’s pick would add to that pool. 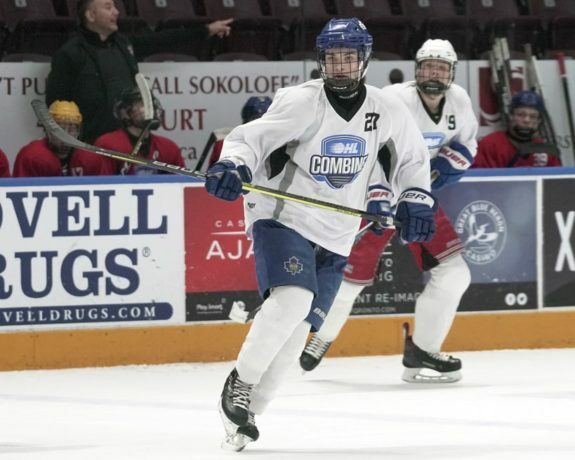 With the sixth-overall pick, Rychel took sniper Wyatt Johnston of the Toronto Marlboros. Johnston has yet to comment on being picked. It was the Spitfires’ fifth-round pick that turned heads, though. Rychel took defenceman Isa Parekh from the Toronto Jr. Canadiens. While Parekh’s 113-pound frame is strangely small for the OHL, his story is bigger. Parekh’s father, Dr. Azim Parekh, appears to be the potential buyer. He’s the Founder and CEO of Smiles First Corporation near Toronto. Isa was also unranked by multiple scouting services for the draft. On Tuesday, the Spitfires finally acknowledged the speculation. “We can confirm that there are currently ongoing discussions related to the potential sale of the Windsor Spitfires, which will ultimately be subject to Ontario Hockey League (OHL) approval…,” the Spitfires said in the statement. While this statement confirmed sale talks, Wednesday night’s OHL Under-18 Draft added another checkmark in Parekh’s column. Isa’s brother, defenceman Aydin, was selected fifth overall by the Spitfires. He’s a little bigger than Isa, at 5-foot-7 176 pounds, but stats were hard to come by. It’s just another eye-opener in this saga. Let’s be completely honest – this has turned into a mess. If the younger Parekh was drafted in rounds 10-15 on Saturday, nobody would have thought twice. In the OHL, drafting family and friends in later rounds is normal. In previous seasons, the Spitfires have drafted relatives during the later rounds. Jack Bowler, son of Bill Bowler, the Spitfires’ Vice President of Hockey Operations, was drafted in the 15th round in 2015. Stefan Dobrich, son of former co-owner Pete, was taken in the 10th round in 2017. Bill Bowler talks about being a Spitfire in the early 1990s. Any player chosen in the fifth round should have a chance to make the club right away. Spitfires’ captain Luke Boka was a fifth-round pick in 2015 and he made an immediate impact. When an unrated player (Isa) gets drafted in the fifth round, that sends a clear signal across the entire league. The situation is reminiscent of the Flint Firebirds in 2015-16. Firebirds’ owner Rolf Nilsen was suspended by the OHL in April 2016 for five seasons after he made moves that were against the best interest of his team and the OHL. Nilsen fired his coaching staff in Nov. 2015 because of an alleged lack of playing time for his son, 17-year-old Hakon, a former seventh-round pick. The players protested and the staff was re-hired. In Feb. 2016, the staff was fired for a second time. That’s when the OHL investigated and laid down the suspension. OHL Commissioner Dave Branch now keeps a close eye on the Firebirds. While the Spitfires’ situation is gaining attention for the wrong reasons, the league can’t allow it to turn into another national headline. Even though the Firebirds’ situation was a black eye on the league, the OHL has seen multiple management-son relationships turn out well. 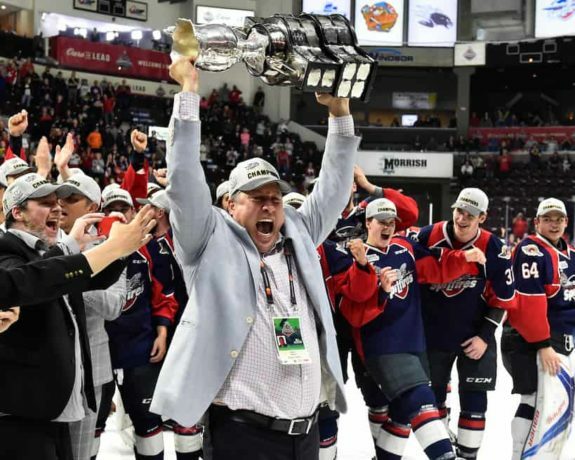 Windsor-native Rocco Tullio, the owner of the Oshawa Generals, saw his son Ty drafted by the Gens in the first round in 2018. Ty earned a roster spot and scored 42 points for the Generals in 2018-19. Former Spitfire Cory Stillman, now the head coach with the Sudbury Wolves, saw his son Chase drafted by the Wolves in the second round on Saturday. Chase averaged over two points-per-game this season with the Jr. Wolves. Even Rychel himself traded three second-round picks in 2011 to bring in his son Kerby, along with two second-round picks. Kerby was highly rated and went on to back-to-back 40-goal seasons. Good things can come from an owner bringing in their family. That doesn’t mean it’s always good, nor should the process become suspicious. Drafting an unrated player in the fifth round isn’t normal. Taking his brother in the first round of the Under-18 Draft a few days later isn’t normal. With what we’ve seen so far, there’s a lot to be curious about. What’s Next for the Spitfires? 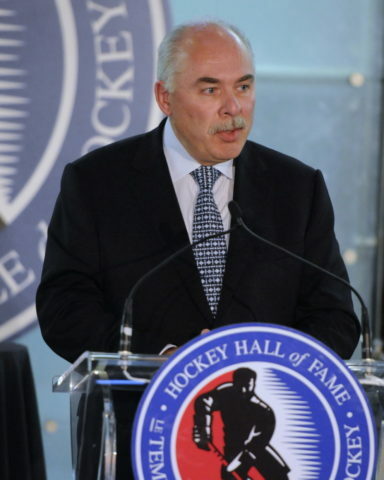 For any Spitfires’ sale to happen, the OHL Board of Governors would have to approve it first. That’s not necessarily going to be easy. One thing that hasn’t happened through all of this is a word from Parekh publicly. His family has been silent on everything, which could be on purpose. If he’s involved in any purchase, he could be limited on what he could say, legally. However, while he hasn’t said anything, you don’t have to be a math major to add this up. This Saturday, the Spitfires host their annual prospects camp in the community rinks at the WFCU Centre. The equipment sale runs from 11 a.m. until 6 p.m., but the on-ice player’s portion is from 3:30 p.m. until 5:30 p.m. Both are open to the public. There’s likely to be a strong buzz about this blossoming story and rightfully so. Where there is smoke, fire is likely and the Spitfires’ community has every right to scratch their heads. Rychel and his staff have done wonders for this franchise since 2006, essentially helping save them from relocation while bringing home junior hockey royalty with three Memorial Cups. They’ve truly become a great organization to be around. Could all of this be a coincidence and are just a favour to someone? It’s possible and everything could turn out much better than it appears. Optics are huge right now, though. Almost every sign has question marks around it. The hockey world is taking notice, both in-and-out of Windsor. While it could turn out fine, it’s an ugly look in the short-term. This isn’t how the Rychel era should end. Everyone – players, management, fans and the city – deserves better.